by Konrad Adenauer Foundation, Kuala Lumpur office. 6. Respect and love one another, and be responsible for your partner's happiness. 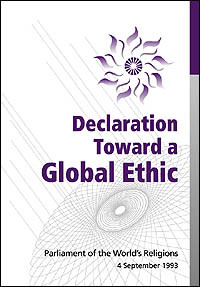 These are the six basic principles for a global ethic which was accepted by the Parliament of the World's Religions in 1993. Published in Oct. 2001 by Continuum UK and USA. What do we know of men and women of other faiths and their religions? Why do we so often unthinkingly reject what is alien and unknown? All religions have a dark side and a bright side; they contain traditions and visions; they are fascinating, and indeed beautiful. Hans Küng now makes it possible to experience this by examining the four-thousand-year history of the world religions for traces which help us to understand one another and bring us together more closely. 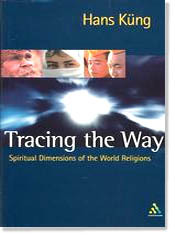 Hans Küng, one of the outstanding theologians of our day, has set out to describe the spiritual substance of the world religions in an authoritative and vivid way, explaining them in a way which everyone can understand. He invites us to an exciting search for traces through every age and every continent. 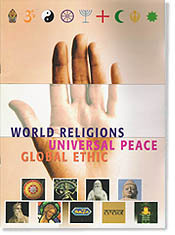 In each of the seven parts, Hans Küng describes the development of the religion, points out connections with other religions and works out what divides the religions and what they have in common.